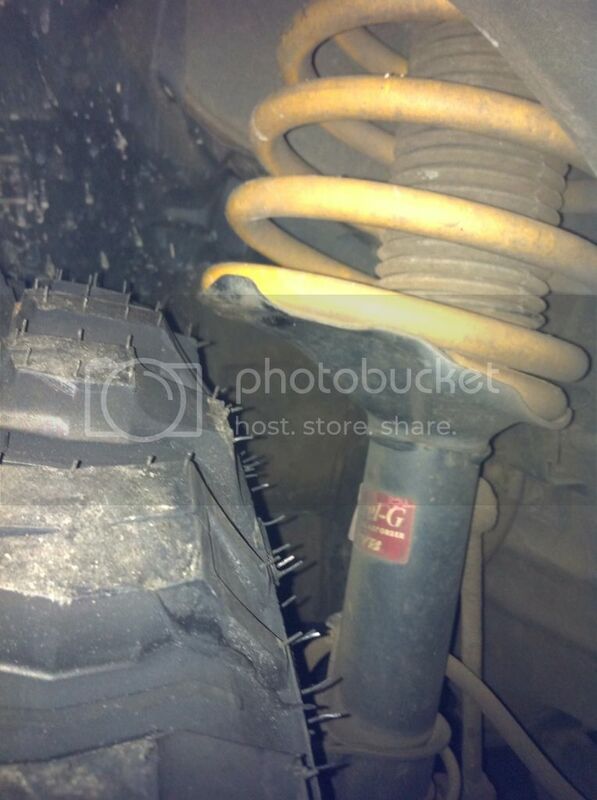 Lifted and running bigger rubber? Come in here! I was talking to the Qld DOT the other day and was told I could only suspension lift 1/3 of original height. I was wondering how i find it out/ or if anyone knew what the original height is? Also i think the largest tires that can go on from factory is 31 X 10.5 X ? The DOT said you can only have 15mm increase in rolling diametre and a 30% wider tyre, does anyone know if there are tires made to these specs? (with the 15mm and 30% wider than 31 x 10.5). Hope that ^^ made some sense to you guys. An increase 1/3 original height is very arbitrary, 1/3 of what height? In the manual there is a measurement for setting the torsion bars. You could use a spirit level, the car on flat ground and a ruler, (assuming your front has sagged) jack the front up till you get that height. Or call the RTA and get Road vehicle descriptor sheet for your model faxed. This details the distance from the centre of the wheel to guard lip. I can post the 1993 Pathfinder V6 4 door tomorrow. The tyre you need to comply with that if it existed would be 345/60 R15 but again it sounds like BS. If you stick with 31x10.5 R15 and 2" lift you’ll be safe. unfortunately its all true. With all the southerners living here now maybe the rules should be changed eh. 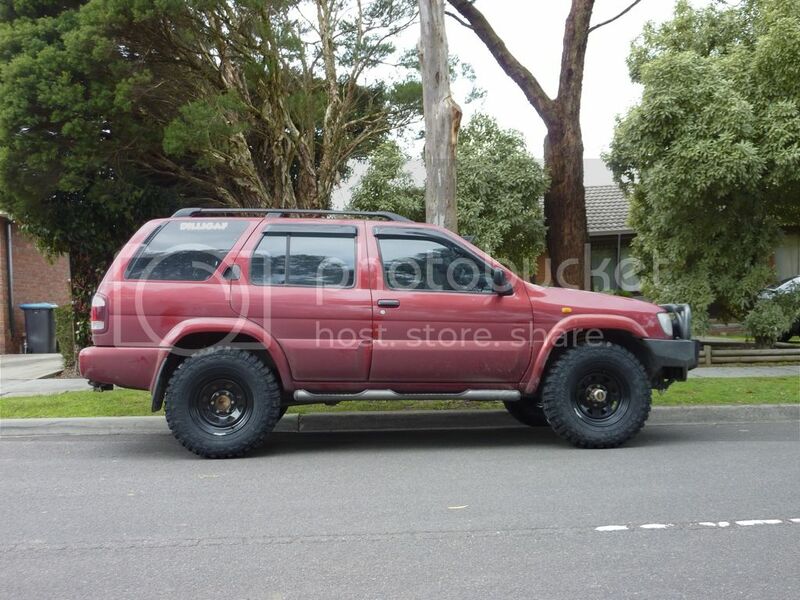 Just move to tas, 6" lift and run 33". • The rebound travel measured between the rubber rebound stop and the corresponding metal stop (or the extension of the shock absorber for vehicles without a rebound stop) may be reduced by no more than one third. Ok then jack the front up level until dimension H (from attachment ) is achieved. Then the distance you have to jack it up again for the top bump stop gap to reduce by 1/3 is your allowable lift. Hi.Anybody run any bigger than standard tyres on the R50? What size and how did it go? We've had up to 32's on ours, with no major issues; but for what we use it for, it's better off on pretty much standard sized tyres & that's what we usually run. I guess how large you go will depend on exactly WHY you want larger dia tyres, and what you are prepared to compromise on or pay to get sorted. Don't forget that you'll need to get anything much bigger passed for rego too - bigger tyres do stand out a lot on these vehicles! I'm looking to get a spare set of wheels and tyres off ebay, but most of the offers seem to be 265/75R16s. Just wondering if there would be any issues with that size. I'm looking at getting 265/75/16s for mine, but I think you will need different offset rims. The bottom of the strut tower is very close to the original tyres using the original rims (16s), so you will need something from a Patrol or similar. How did you go with the bigger rubber and off set's. Here is some pics of my pathfinder with Federal Couragia MT 265/75/16 and rims are black dynamic 16x7 with a +7 offset. 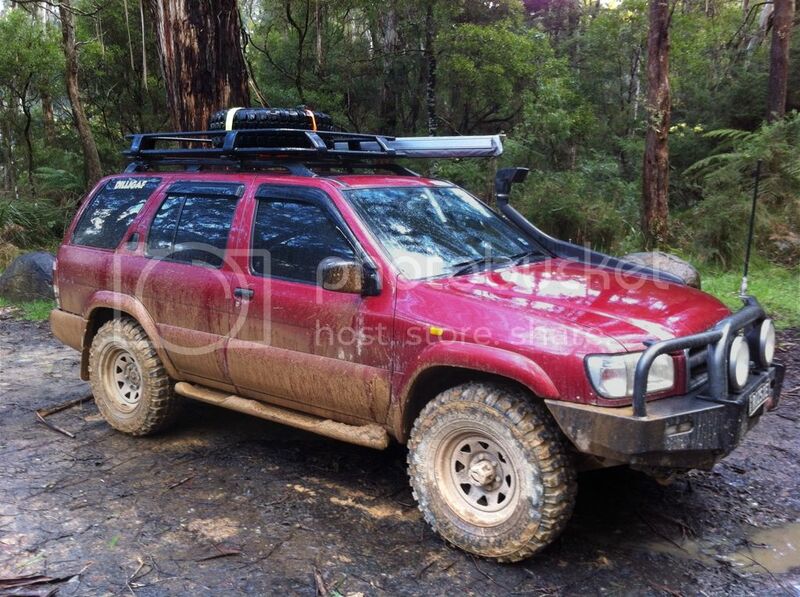 Nice looking pathfinder you got there mate,is that the ARB roof basket ? i have been looking around for something that would fit my 2000 pathfinder.